As technology evolves, many industries are impacted by the growing systems and machinery, which spurs endless benefits. In our business, one of the great advantages to the latest and greatest multi-axis spring coilers is the incredible production speeds that are now possible, thanks to a little help from current machine technology. Looking back at the initial development of processes in the 1900s, there was minimal change on the original segment feed mechanical spring coilers until the 1990s, when they finally phased out. The mechanical machines were wonderful tools, and improvements in metals and machining technology did lead to continuous improvements in quality and production speeds, but the main flaw in segment spring coilers was the time lost waiting for the spring to be cut off. Nowadays, the new machinery allows us to hold springs to tighter tolerances than ever before. Because segment coilers work off of a 360-degree camshaft, the wire feed part of the process took up 180 degrees of the cycle, and everything else, (most often just the cut) took the other 180 degrees. It depends on the size and type of wire, and the diameter of the spring, but eventually, you reach a limit as to how fast you can push the wire through the machine. Because multi-axis CNC coilers aren’t tied into one-half the cycle for wire feed and one-half the cycle for everything else, we require much less cycle time for the cut. Instead of 180 degrees, we require as little as 45 degrees. Instead of one-half of the cycle, we only need one-eighth of the cycle to cut off the spring. We lose less time from the completion of one spring to the start of the next spring waiting for the cut. Without changing the wire feed speed, (in terms of meters per minute or feet per second—pick your units), without changing the wire feed speed, we can increase the production rate by 75 percent. Where we used to experience a 90 percent positive yield for free length, we now regularly see yields at more than 95 percent—and don’t worry, the rejected percentages never left our building. That improvement in yield, combined with improvement in production speed, means less time required to make your spring. Less time equals lower prices. With new, state-of-the-art multi-axis high speed coiling machines, Maverick Spring Makers can make springs faster and cheaper than ever before, which frees up time on the machines to take on new work, without requiring more labour. That’s good for Maverick, and great for the customer. With reduced set up times, we have more time available to make springs, again, without incurring any extra labour costs. Why does Maverick invest in high speed coiling? The answer is simple: It saves the customer money. 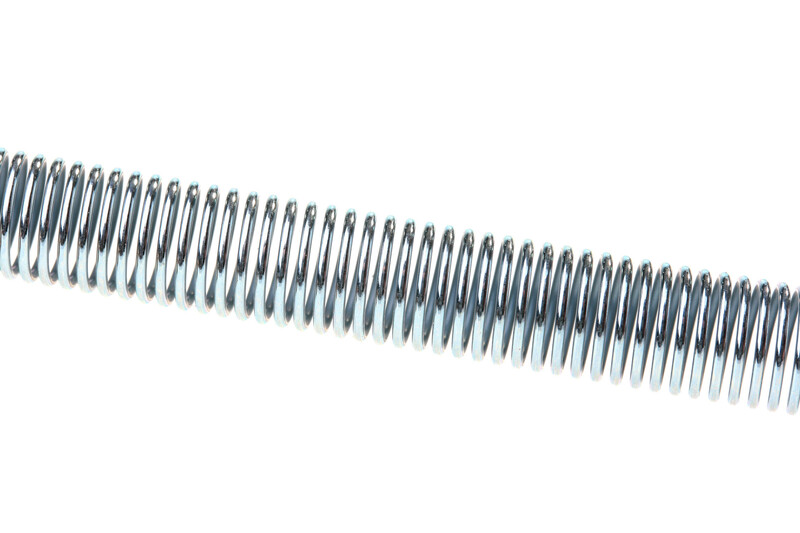 This entry was posted in canada springs and tagged canada manufacturer of custom spring, custom spring manufacturing in canada, machinery for custom spring manufacturing. Bookmark the permalink.